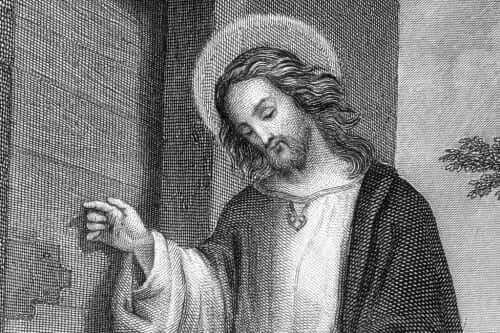 Jesus is knocking on your heart. He is continually coming to you seeking to come in and recline with you so as to converse, strengthen, heal and help. The question to honestly ponder is whether or not you are ready to let Him in immediately. Too often we hesitate in our encounter with Christ. Too often we want to know the full plan for our lives before we are willing to submit and surrender. What we must come to know is that Jesus is trustworthy in every way. He has the perfect answer to every question we have and He has the perfect plan for every aspect of our lives. Do you believe this? Do you accept this as true? Once we accept this truth we will be better prepared to open the door of our heart at the first prompting of grace. We will be prepared to be immediately attentive to all that Jesus wants to say to us and to the grace He wants to give us. Reflect, today, upon how ready you are to open immediately every part of your life to the grace and will of God. Let Him in with great joy and enthusiasm and let His plan continue to unfold in your life. Lord, I do wish to let You into my life more deeply each and every day. I desire to hear Your voice and respond generously. Give me the grace to respond to You as I ought. Jesus, I trust in You.